Maurice Ashley hates to lose. So when the International Chess Grandmaster found himself in a precarious position during a jovial game of Bughouse last week, he put all jokes aside and focused. The game had taken a serious turn. When you are a world-class player, winning is a habit not easily broken. The high speed, blitz-style version of the 1,500-year-old game requires two pairs of players competing over two chessboards. Captured pieces on one board can be placed in the other teammate's game, blocking any advantageous moves of their opponent. Like an athlete, he put on his game face. Bringing his hands to his temples and resting the weight of his head on his elbows, he leaned forward as he quietly weighed the situation. No trash talk, no noise, no smiles; just him and the chessboard. “There’s nowhere he can go,” one chess fan remarked. Ashley’s young opponent smiled to himself. He didn’t expect to have the great Maurice Ashley pinned. The table was unevenly crowded on Ashley’s side with students on their lunch break at the Poly Prep Country Day School in Brooklyn. After a long pause, he finally moved his bishop and displaced a pawn. His opponent was suddenly in check. A few people in the crowd gasped, amazed with his play. He won the game a few moves later. For the past few decades Maurice Ashley, 50, has been touring the world competing, commentating, writing books, collaborating with institutions like MIT and Harvard, establishing a million-dollar tournament and teaching chess to countless youth and a handful of celebrities like Jay-Z and Will Smith. Now, Ashley has added another accolade: becoming the first African-American to be inducted into the U.S. Chess Hall of Fame. The world-class legend and chess genius was honored on April 13 in St. Louis, Missouri. Since 1986, when the World Chess Hall of Fame was founded, only 58 American chess players ever have been inducted. Ashley credits his mother for his tenacity. When he was only 2-years-old she left her three children behind in Jamaica for ten years as she established a life for them in America. She found work as a clerk for New York Medical Center. Meanwhile, Maurice was raised by his grandmother and visited his father on weekends. He only saw his mother 5 times over the decade it took to save up enough money to move her three kids and grandmother from Jamaica. “We kind of knew that with a mother sacrificing as much as she did in order for us to have a chance at a successful life, that you really had to struggle for everything that you had and it's exactly what all three of us did." His sister, Alicia Ashley, has gone on to win five World Champion Boxer titles. His brother, Devon Ashley, is a three-time World Champion Kickboxer. Maurice Ashley has long established his ability to be a champion and he has been inspiring disadvantaged young people to follow his path. His current focus is to build up the next generation of survivors. Coming of age in the notoriously rough neighborhood of Brownsville, New York there weren’t many positive role models. Ashley proved he had the wherewithal to overcome the pitfalls of living in a neglected neighborhood and in turn became someone local kids could look up to. "I was never concerned about being the first African-American Grandmaster. I just wanted to be a Grandmaster. I dreamed about it. I just so happen to be black." Since the days of playing chess with his brother as a little boy in Jamaica, he had become serious about the game as a 14-year-old. His hyper-focus on chess enabled him to avoid the drugs, violence and criminality he witnessed in his community during the 80s. At that time, it was rare for a young man to be at home on a Friday night, let alone playing and studying chess with friends every week. In this way, he stayed out of trouble. Ashley grew competitively as a student at Brooklyn Technical High School by maintaining rivalries with friends. He continued playing into his college years at City College of New York where he joined the intercollegiate team as he pursued his degree B.A. in Creative Writing. When he landed an opportunity to teach chess in Harlem while still in college he did not take it lightly. "I understood the difference it made," Ashley told NBCBLK. "These kids [came out] of central Harlem same as I did, in terms of single parent household, not a lot of means, not a lot of resources, tough neighborhood." Among the prostitutes and drug dealers, the kids saw in Ashley what they did not see often: a young, cool and collegiate black man they could relate to. "They saw me as a candle, as a light to shine by, to live by and it meant a lot to me," said Ashley. Kasaun Henry was one of those kids guided by Ashley's brilliance. Henry was part of Harlem's Raging Rooks team, the 1991 National Chess Champions coached by Ashley in the late 90s. He was also a member of the Borough of Manhattan Community College chess team that won the 52nd annual Pan-American Intercollegiate Chess Championship. But Maurice Ashley's influence extended beyond the game board for Kasaun. "Chess for me has been a tool for education, to explore myself," said Henry during an interview at Poly Prep where he teaches chess. He now holds three Masters' degrees in Music Theory, Philosophy and History and Culture. He is currently a doctoral candidate in History and Culture at Drew University in New Jersey. The two remained close over the years and now work together. "Our connection is basically based around our paths, the way we grew into our potentials in life," said Henry. To this day, Maurice Ashley focuses the majority of his teaching efforts on servicing underprivileged youth, usually in Black and Latino communities. Though his accomplishments have broken race barriers it is not his main objective. "I was never concerned about being the first African-American Grandmaster. I just wanted to be a Grandmaster. I dreamed about it. I just so happen to be black," said Ashley. Nevertheless, he expects to be the first of many African Americans to follow in his footsteps. "Being the first really implies that there is going to be a second, third, tenth, and a hundredth," he said. "They saw me as a candle, as a light to shine by, to live by and it meant a lot to me." After the Michael Brown case put Ferguson on the map, Ashley established a partnership with the Saint Louis Chess Club and the non-profit organization Ascension Health. Together they have opened chess clubs in every middle school in the municipality. "Ferguson is filled with young people who are bright, who are hopeful and extremely intelligent and want to be successful human beings," Ashley said. "The assumption that Ferguson is equated with police brutality is unfortunate because of one case. It is simply insufficient." For the past several years Ashley has taken an entrepreneurial approach to spreading his love for the game. Two years ago, he co-founded a chess company, Grandmaster Learning, which offers chess classes in schools, camps and tournaments. This October 6-10 the 3rd annual Millionaire Chess Open, which Ashley founded, will take place in Atlantic City, New Jersey after two years in Las Vegas, Nevada. It is the highest stake professional chess tournament in the world. With a half-century under his belt, numerous accomplishments and newfound Hall of Fame status Maurice Ashley could kick up his feet and relax a bit. "When I'm satisfied doing all the work that I am doing growing chess, when I feel like I've contributed enough, then I can see myself stopping," he told NBCBLK. "There is no pressure; the pressure is self-driven, self-motivated," he continued. "I have tons more to do in life with chess and [the U.S. Chess Hall of Fame induction] is absolutely a significant marker along the road, but it is just another part of the process. Where I come from you keep working." 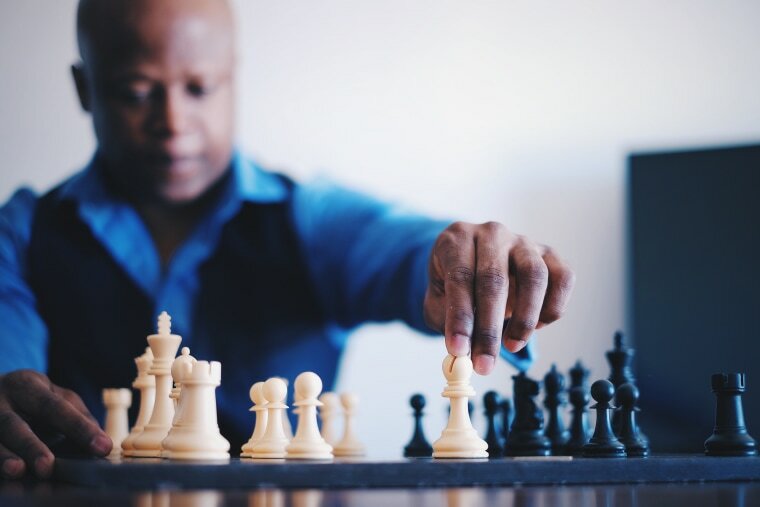 Much like his need to win, Maurice Ashley has his mind dead set on the future of chess and he won't stop until he instills others with his drive to overcome and survive so that they may play the game of life well enough to thrive. 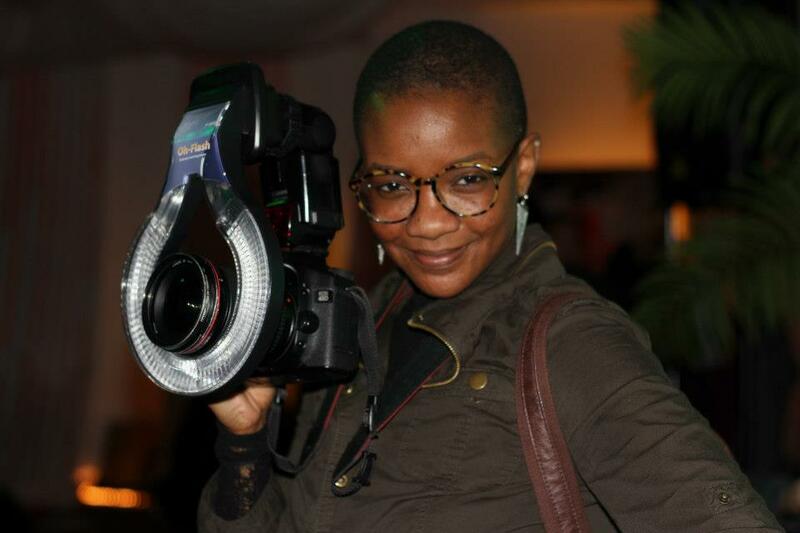 Melissa Bunni Elian is a Haitian-American journalist who uses photography, video, and words to tell stories about unique characters, everyday people and historical events to exhibit the different ways of experiencing and understanding the world around us. You can find more of her work here: www.hellobunni.com.